The pattern gives instructions for 3 sizes: large throw, twin, and queen. This version here is the throw size. 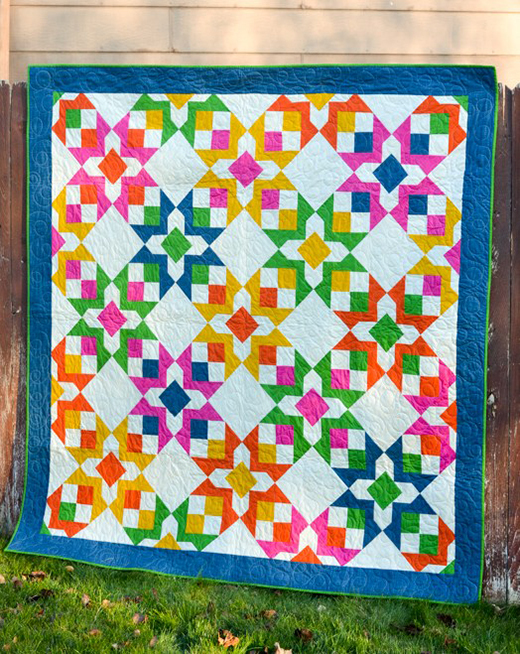 This Twinkle Quilt Made by April's friend Melanie ’s made from Moda’s Weave basic.